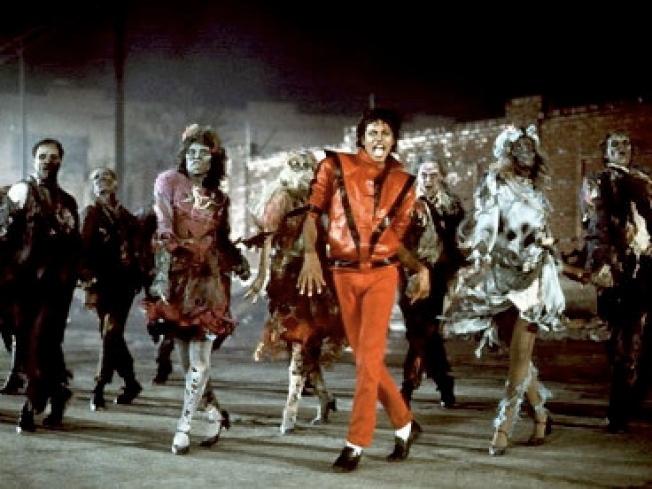 The current record is the "hokey pokey"
Be a part of Michael Jackson's iconic Thriller dance. Ooow! He helped write "We are the World." Now, Michael Jackson is once again bringing the world together -- with a goal of breaking a world record. A group of dancers did their best Michael Jackson impressions Saturday night on Freedom Plaza, dancing to his classic hit "Thriller." Dancers from Thrill the World with Dance Baltimore joined them from Baltimore's Inner Harbor, as did others across the planet dancing to hit song in an attempt to set a world record. the same dance at the same time.